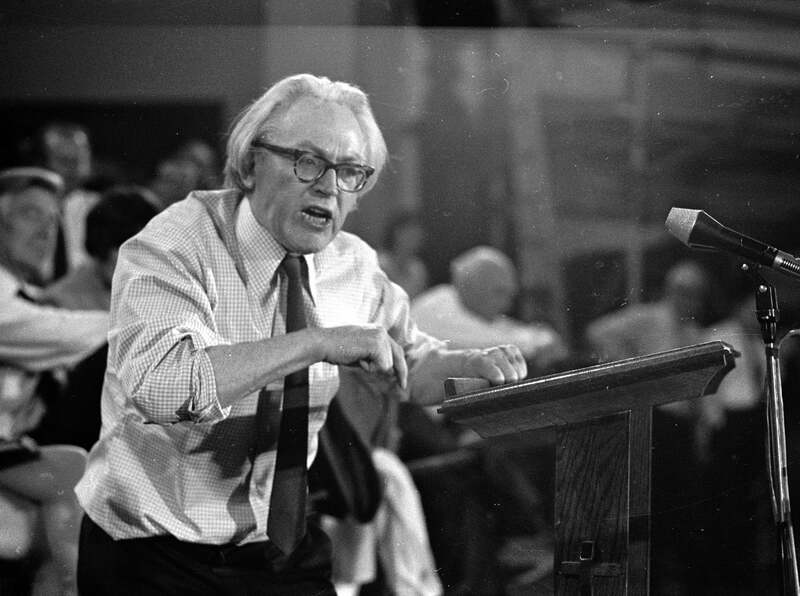 Senior Labour figures and the friends and family of the former party leader Michael Foot have dismissed renewed reports he was a paid Soviet informant. Neil Kinnock, Jeremy Corbyn and John McDonnell are among those of who have condemned the claims – published in The Times on Saturday – that MI6 believed Foot passed information to Moscow. The political giant, who died eight years ago, sued The Sunday Times when it published similar allegations in 1995. A former editor of that newspaper is among those to dismiss the renewed claims. The original allegations centre around the Soviet defector Oleg Gordievsky, who claimed Mr Foot had received clandestine payments from the KGB and had been classed by the organisation as an “agent”. The fresh report is based on the same story, which appears in a new book, 'The Spy and the Traitor', by journalist Ben Macintyre. It says MI6 agents have now corroborated Mr Gordievsky’s claims. But reacting to the allegation, Mr Kinnock, who succeeded Mr Foot as Labour leader, called them “filthy”, adding his predecessor had been a “passionate and continual critic of the Soviet Union”. Speaking to The Observer, Mr McDonnell also paid tribute to Mr Foot. He said he “was a good and honest socialist whose only desire was to serve our country". The former leader’s great nephew, John Foot, also came to the defence of his great uncle, calling him “a lifelong anti-Stalinist" and said it was "ludicrous to claim he was a Soviet spy. Sued successfully for libel around this when he was alive. No evidence. Shameful and cowardly". Mr Macintyre’s book says MI6 agents had been told about Gordievsky’s claims in the summer of 1982 and took them so seriously they were preparing to tell the queen should Mr Foot have won the next year’s general election.